“My elderly parents had a very stubborn preference for independence and remaining in their home for as long as possible. As their only child, I was experiencing a great deal of stress related to concerns about and caring for my parents’ health, safety, and emotional needs from across country. To provide me some peace of mind and security I used the services of Gary Kozick, LCSW for approximately 2.5 years, until he relocated, to provide the necessary assistance and monitoring my parents required in order to remain safely in their home. He continued overseeing their needs when nursing home placement became necessary. Some of the services Gary provided were weekly visits to their home, monitoring medications, overseeing medical appointments including accompany parents to appointments when appropriate, meeting them in the emergency room and visiting them in the hospital, interacting with hospital staff on their behalf and mine, getting them set up with Lifeline, ensuring they had the necessary emergency supplies on hand and in working order, and assisting in their transitions to nursing home care. Gary also provided tremendous emotional support to me, my wife and extended family. “My mom moved from New York to live with us a year after my dad passed away. Mom had an independent in-law suite with her own bedroom, living room, bathroom, kitchen and private entrance. We shared the laundry room and life went well for our household of seven for about ten years. As mom entered her eighties we saw changes, but chalked it up to age and mom’s being forgetful. My mom was a very intelligent and strong willed woman and her reaction to the diagnosis of Alzheimer’s and dementia was not well received. As the disease took its toll, mom became paranoid, suicidal and physically and verbally abusive. I was forced to disconnect her stove for her safety as well as the safety of other family members. We knew the disease had progressed to the next level when we were awakened by a pounding at the front door at 4 AM on a frigid morning in January. The police had found mom dressed in a bath robe a half-mile from home in a snowy park. We knew mom needed care that she could not get from us any longer so we looked at local options and found a good assisted living facility that also had a memory unit. The challenge was convincing mom that this was the best option. The facility recommended Gary Kozick, LCSW, as an experienced professional that could work with our family. We set up a meeting with Gary, my wife, two of our children and me to discuss our situation. Gary listened carefully to everything we shared and empathized not only professionally, but also personally having experienced these issues with his father. Since mom no longer drove, but was still fiercely independent, she needed a driver for shopping, and doctor appointments. Gary was introduced to her as a driver and built a great relationship with my mom and became a trusted friend. Gary treated mom with respect at all times and was critical in positioning mom so she could get the help she needed. Gary’s genuine concern for mom was obvious and sincere. Gary was a key ingredient in getting mom into a safe facility as well as restoring broken relationships. “For more than 1 year our family struggled with the problems which stem from dealing with the issues created by having a family member entering and leaving a variety of nursing homes where the care is inadequate at best and dreadful at worst. Finally, we had the good fortune of having someone refer us to Gary Kozick. He has provided us with the first rate assistance in caring for a member of our family. In so doing he has been a steadying influence for us. He answers telephone calls promptly. He deals with his clients, nurses, and all medical personnel in a courteous professional manner. He has the necessary compassion and patience to be most supportive in a great variety of situations. I first met with Gary Kozick in 2009 upon the recommendation of my mother’s personal physician. 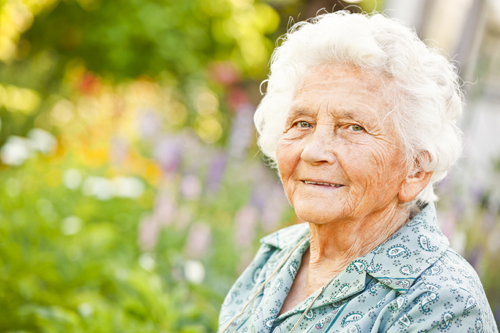 She had been living independently, but after being diagnosed with dementia it became necessary to implement some services prior to her transitioning into assisted living. At this time, she was 83 years old, in good physical health, but suffering from confusion, memory loss, and other symptoms of dementia. I felt as if I needed some professional advice on how to proceed with her care, as well as assistance in dealing with her on a level that did not produce conflict. At first, Gary recommended that she remain in her apartment, but utilize some additional outside services to ensure that she was safe and healthy. He helped me to set up Community Home Services, which would provide my mother with someone to help her prepare her meals, keep her apartment orderly, and make sure she was taking her medication. There was much resistance on my mother’s part, and Gary was often in her apartment when the home care aides were there, just to reassure my mother that this was a necessary service to maintain her residence in the apartment complex. It became necessary for the managers of the apartment to shut off my mother’s stove, due to her forgetting food that was cooking. Gary and I arranged for Meals on Wheels to be delivered. We also hired an occupational therapist to work with my mother to assess her meal preparation skills and safety in the kitchen. Throughout the next several months, my mother increasingly becomes resistant to all services, and she became more reclusive and resistant to my visiting, or seeing the family on holidays. Obviously, this was extremely stressful for our family, and Gary continually reminded us that this was the disease of dementia, not really what my mother would have chosen, had she had all of her mental faculties. Gary went to visit my mother, as he did on a regular basis, and could not get her to answer the door. The manager let him into her apartment, and they found her on the floor, unable to stand with any weight on one side. He called the ambulance and me, and we all met at the hospital. She was admitted and it was determined by her doctors that she would need a rehabilitation facility upon her discharge from the hospital. She spent 5 days in the hospital getting treatments and therapy. At this time, Gary and I were making phone calls to various facilities in the hope of finding a permanent placement for her, as it was now apparent that she should no longer live alone. We looked into Gwynedd Square Nursing home, which had rehabilitation availability, plus a room for her if she needed to stay there permanently. She is there today. Gary has been instrumental in guiding me through this process. Dementia has robbed my mother of her personality, mental health, and her family bond. He continued to meet with me for the first year that she was there, and attended care planning meetings with me to make sure her doctors were coordinating her treatments, and that she was being well cared for. He made several suggestions as to how to get her more involved in the activities there, and how she could become more integrated into their programs. If I did not have Gary’s assistance over those years, I would have felt lost, not knowing all the resources available to us, and setting up different services for my mother. I would highly recommend him to anyone with an elderly parent, as an advocate for them, and a friend in a time of need.